From mystical woodlands and sweeping downland to the twinkling lights of coastal towns and the dramatic architechture of Britain's cities, this magnificent collection showcases the country's best photographic talent. The Landscape Photographer of the Year competition is the brainchild of Charlie Waite, one of today's best-known landscape photographers. 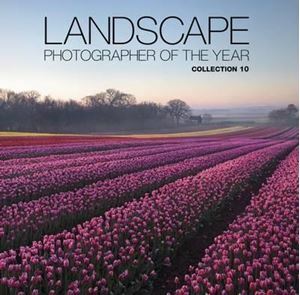 Like the others before it, the 10th edition features everything the varied British landscape is renowned for - classic shots of verdant countryside, rugged lochs, mountains and moorland and stark urban industrial scenes capturing the beauty and diversity of Britain in the 21st century. With an introduction by Charlie Waite giving an insight into current photography trends and a helpful technical section detailing the cameras, techniques and equipment used to create the stunning images, Landscape Photographer of the Year: Collection 10 is a must for everyone with an interest in photography as well as anyone who appreciates the British countryside.